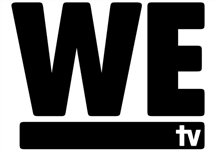 WE tv is an American digital cable and satellite television channel owned by AMC Networks which showcases and celebrates modern women who are bold, independent and taking control of their lives. WE tv's slate of unscripted original series includes Braxton Family Values, Mary Mary and Marriage Boot Camp, among others. The network's first scripted series, The Divide, explores the personal cost of morality, ambition, ethics, politics, and race in today's justice system. The series was created by Academy Award-winning writer Richard LaGravenese and actor/director Tony Goldwyn. The channel's next scripted series, South of Hell, is a supernatural thriller, which debuted in 2015. WE tv is owned and operated by AMC Networks Inc., alongside its sister channels AMC, IFC and SundanceTV, and is available in over 85-million U.S. homes and across all platforms. Summary: This series focuses on former playmate Kendra Wilkinson as she "gets her groove back" and works to balance family, work and her personal ambitions. 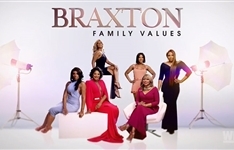 Summary: Braxton Family Values spin-off, where youngest sister Tamar is the show's breakout star and is back to claim the spotlight and reign "diva supreme".